Italian Talmudist and physician; flourished in the first half of the sixteenth century. As physician he was active in. Cremona; as editor, in Venice. 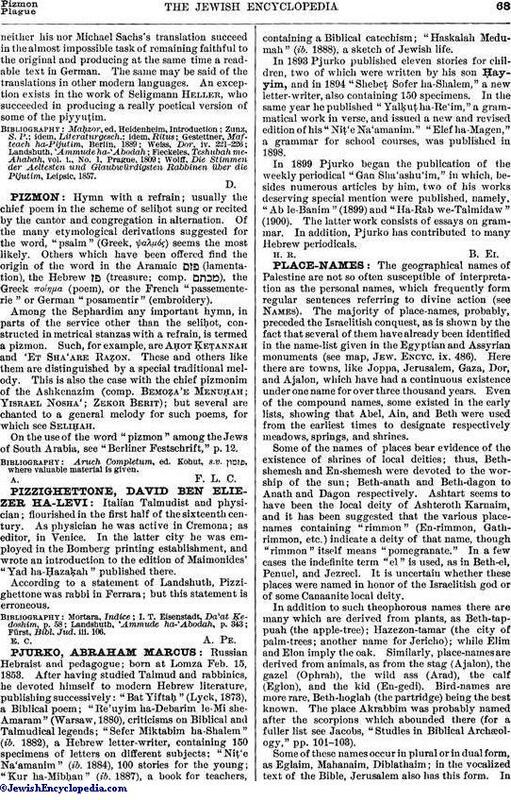 In the latter city he was employed in the Bomberg printing establishment, and wrote an introduction to the edition of Maimonides' "Yad ha-Ḥazaḳah" published there. According to a statement of Landshuth, Pizzighettone was rabbi in Ferrara; but this statement is erroneous. Fürst, Bibl. Jud. iii. 106.